A study of marine ecosystems by a team of international researchers, including UBC zoologist Mary O'Connor, has discovered startling changes are taking place in our oceans. Warming temperatures are causing species to migrate poleward at an average of 72 kilometres per decade, compared to terrestrial species, which are moving at six kilometres per decade. The shift may reduce the amount of seafood the oceans can provide and alter the locations where fish can be caught. 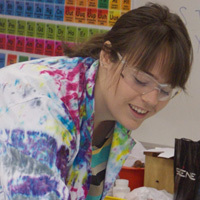 UBC piloted its Scientist in Residence Program this summer, with graduate chemistry student Angela Crane travelling to Fort Nelson to organize educational programming for a month, visiting five schools, including a tiny rural schoolhouse. 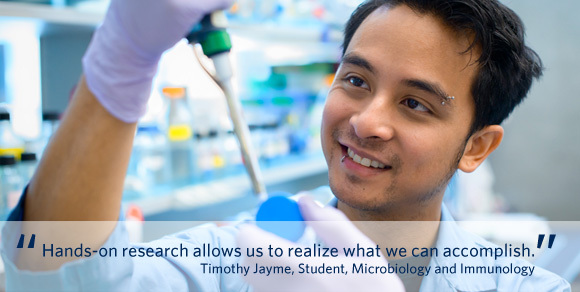 Discover the the extraordinary diversity of the microbial world and the invisible majority of life that is detectable only using molecular methods. Enjoy the fascinating world of chemistry during this family event. Show the little ones they can be chemists too! An insider’s view of NASA’s Curiosity Rover mission from science team member Laurie Leshin. A vaccine developed by UBC zoologists could protect endangered birds from the West Nile Virus, and one day might be used on other species, including humans. 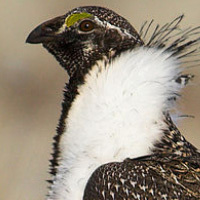 "West Nile Virus has been identified as a threat contributing to the extinction of some rare bird species and its presence in common birds facilitates the spread of the disease," says Joanne Young, lead author of the study. Phylo is an open-source biodiversity card game created by UBC geneticist David Ng. It features organisms from the Beaty Biodiversity Museum’s six major collections. The Beaty Museum version is the first professionally printed deck available. UBC's First Year Seminar in Science has been awarded the 2013 Alan Blizzard Award by Canada’s Society for Teaching and Learning in Higher Education. Pieter Cullis, professor in the Department of Biochemistry and Molecular Biology, has been appointed director of the UBC Life Sciences Institute. Robert Shadwick, recognized for his research in animal physiology and biomechanics, has been appointed head of the Department of Zoology at UBC. UBC zoologist Sarah Otto has donated $100,000 to UBC’s Biodiversity Research Endowment Fund. The money will support interns interested in conservation and biodiversity issues. The PIMS/UBC Aboriginal math camps have received $30,000 in support from RBC to expand their rural programming. UBC researchers with Microbiology and Immunology, Chemistry and the Centre for Blood Research have partnered with a Chinese biotechnology firm to develop new treatments for a variety of diseases. UBC computer scientist and co-founder of Vancouver’s Tasktop Technologies Gail Murphy has been named one of the Top 10 Women in Technology by BC Tech Magazine. Mathematician and Canada Research Chair in Complex Fluids and Interfaces James Feng has been named a Peter Wall Distinguished Scholar in Residence. 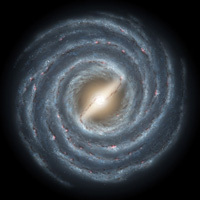 UBC astronomers have used NASA's Hubble telescope to track the orbital motion of 33,000 stars in an ancient globular cluster, proving the stars formed at different times and offering new insights into the birth of the Milky Way. UBC’s Harvey Richer combined recent Hubble observations with eight years' worth of data from the telescope's archive to determine the motions of the stars in globular cluster 47 Tucanae. The study revealed two distinct generations of stars in the cluster, linking stellar dynamics to separate populations for the first time.